Rated R for some violent images and language. Not every movie contains a moment that deserves to be called priceless, but Gavin Hood’s “Eye in the Sky” has a great one. It comes well into the drama, which focuses on several sets of military and government personnel trying to decide whether to launch a drone strike that will almost certainly result in civilian casualties. While the prospective targets are Al-Shabaab militants in Nairobi, Kenya, those deciding their fate are scattered across the globe, contemplating their prey via high-in-the-sky surveillance drones hovering above the bad guys’ safe house. The key point here, though, is this is a British operation. Though the Hellfire missiles will be launched, if they are, by U.S. military personnel at a base in Las Vegas, the folks trying to determine whether to go ahead are mostly located at Whitehall in London and a military base in Sussex. The primary reason for the dithering is worthy of D.W. Griffith. Various kinds of intel are used to track several “high value” terrorist operatives to that house in Nairobi, which is in a busy, tightly packed suburb. Back in Sussex, Lt. Colonel Katherine Powell (Helen Mirren, terrific as usual) has been tracking one of the terrorists for years and is ready to order a strike. But at Whitehall, Lt. General Frank Benson (the late Alan Rickman, to whom the film is dedicated) is surrounded by waffling politicians who are horrified to see, via drone, an adorable little girl selling bread right in front of the targeted house. Inside the house, as the Brits have just seen, the terrorists aren’t just confabbing. They’ve got a couple of suicide vests ready to go. Experts’ estimates say those weapons could kill up to 80 people if they went into action. So do the responsible parties risk wasting one little girl (and maybe other civilians) in order to prevent 80 possible deaths? Or not? The presumed American answer to that, all recent evidence suggests, would quickly render the little girl toast. That answer obviously might not be the most morally defensible one, but it does lead to another question: Do the Brits, for their part, really dither like this, to an almost ridiculous (if morally punctilious and/or politically paranoid) degree? Or is what we see here a product of wishful liberal hand-wringing given dramatic form? It’s a key problem with films like this: Because the subject is a very potent and contentious one, we don’t just want excitement in its treatment; we want clarification and illumination. But how much of what we see here is accurate and factually based, and how much is dramatic license? (Surely, the extensive use of the little girl ends up constituting sentimental overkill of a very egregious sort; the film’s end-credits sequence, in particular, is the worst mistake I’ve seen in a movie in months.) All in all, wouldn’t the subject of drone warfare be more effectively treated by a well-reported documentary than by a drama that poses questions of accuracy throughout? 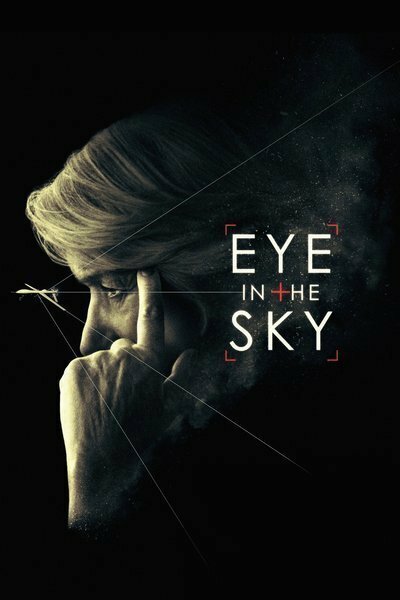 “Eye in the Sky” opens in a week that saw U.S. drone strikes reportedly kill 150 people in Somalia, a country with which the U.S. is not at war and against which Congress has authorized no military action. The deceased were of course reported to be “terrorists,” though, as with most recent such cases, there’s no independent verification of that. While Hood’s film says very little about American policy in this area, it does suggest that its terrible subject is likely to be with us for a long time to come.